Rumor had it that The Oprah Winfrey Network was one of the channels (in addition to BET and Hulu) considering picking up the show starring Jurnee Smollett and Aldis Hodge. But at an L.A. press event this week for her network's series, Queen Sugar, Winfrey confirmed that won't be happening. "I can't afford Underground," Winfrey told a group of eight journalists. "It cost twice as much to make as Queen Sugar. As a matter of fact, my dear friend John Legend called me personally and asked me about it, but we'd already been talking about how we could make it work [...] it's like $5 million an episode, so we can't afford it. It's not cheap, I think because it's a period piece." 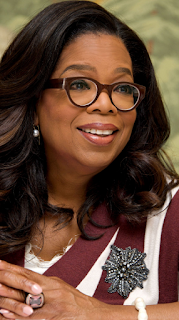 Winfrey added that on top of the price, though the show was often trending on Twitter, it just didn't have the ratings to justify the expense, especially considering that OWN is still a young and growing network. "We really tried to make it work," she says. "I wanted to make it work because I think it's a good show. I wanted to be able to save that show, but it did not make good business sense for me."